A comprehensive treatment that restores optimum hydration to the skin. This fine-textured, airy emulsion gel enhances the beauty of normal to combination skin, wrapping it in a non-greasy veil of subtle freshness. Skin is drenched in life-giving water. 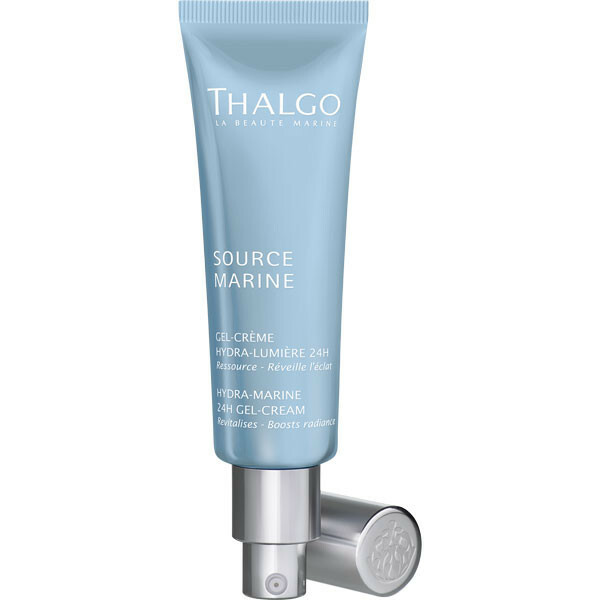 Hydra-Marine 24h Gel Cream increases the skin’s moisture-binding ability by significantly boosting hyaluronic acid levels in the epidermis and dermis thanks to the creation of a well of vital water. Directions: Apply to the face and neck to cleansed skin, in the morning and evening. After the holiday season of over- indulgence of alcohol and unhealthy food, the hot summer days on the beach and the cool air conditioned nights while I slept, my skin felt all together lack lustre, tired and totally dehydrated, so dehydrated that it actually looked wrinkled (I am not wrinkled yet). 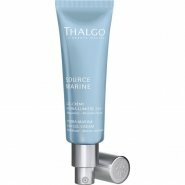 I used Thalgo Gel-Crème Hydra Lumiere & it bounced back very quickly. My regime was day & night after cleansing. I love the texture of the cream (it is more a cream than a gel) And it smells heavenly. The smell does make me think of the sea but in a luxurious way. No matter what your skin type, you can use this product, as I have a combination skin but travelled with my colleague, who has a dry skin & she forgot her moisturiser, & she found it beneficial too. It is well absorbed whatever the skin type. Great product! Fresh & light weight - so smooth and glides on, definitely something for my collection.